National Public Radio filed an application (with supporting exhibits) for an experimental license to operate on 87.7 MHz in Philadelphia and San Francisco to test a “cognitive modulator” that would operate below the current FM band as an alternative to current consumer FM modulators. These modulators plug into the earphone jack of an audio device and transmit the audio at low power to an FM radio, often in a car. The performance of these devices is usually mediocre at best. The FCC limits them to very low power. They’re tuned initially to unused FM frequencies that become occupied as the car moves, causing interference. HD Radio, which overlays a digital signal on the analog channel, increases interference; furthermore, HD Radio interference has no audible content and, to the listener, appears to be an unused channel causing confusion when selecting a frequency for the modulator. The modulators can also cause interference to other FM listeners. The cognitive modulator to be tested would operate on 87.7 MHz, just below the FM band. It would measure interference and noise and adjust its transmitter power to provide a desired signal quality in car’s FM radio. In addition to testing the effectiveness of the new modulator, any interference from the modulator to other services would be evaluated. Services that could be impacted (but probably won’t) include FM broadcast stations on 88.1 MHz and digital TV stations on Channel 6 (82-88 MHz). Presumably, successful test results would be used in support of a request to the FCC to allow the manufacture and sale of the devices. 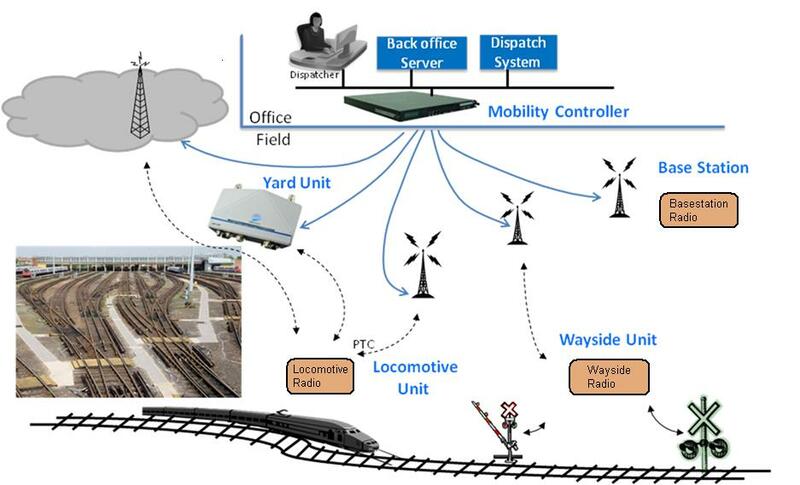 Lilee Systems filed an application (with supporting exhibits) for experimental license to support the development of radio systems for Positive Train Control (PTC). PTC is mandated by the Rail Safety Improvement Act of 2008 with regulation administered by the Federal Railway Administration. It’s intended to prevent train-to-train collisions, enforce speed restrictions, and temporarily slow trains near construction zones, among other things. Lilee is developing a radio product family to support PTC; specifically, it intends to provide software and hardware for radios in base stations, in locomotives, and at waysides. Testing is to be done in the Santa Clara, California area on 217-222 MHz. Adaptrum filed an application (with supporting exhibit) for special temporary authority to demonstrate a TV white space device at the FCC. The frequencies requested are 512-518, 542-548, 626-632, and 644-656 MHz (TV channels 21, 26, 40, 43, and 44, respectively). Syniverse Technologies filed an application for special temporary authority to operate a low-power GSM base station on 1900 MHz in Tampa, Florida to test wireless roaming solutions and fraud services associated with GSM SIM cards. Western DataCom filed an application (with supporting exhibits) for special temporary authority to operate a UMTS base station from an aerostat in the vicinity of South Boston, Virginia on 1972.5 and 2162.5 MHz. Testing will include evaluation of communications range and data throughput. AKELA Inc. filed an application (with supporting exhibit) for experimental license to test a through-the-wall surveillance radar prototype in Santa Barbara, California. AKELA says the technology was originally developed for the military and is now being modified for state and local first responders. 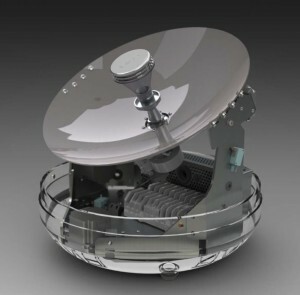 The final version of the device is expected to allow identification and location of movement within a structure from “a few tens of meters away.” The prototype operates as a frequency-stepping radar from 2900 to 3600 MHz. The current design uses a stepping interval of 3 MHz, with a dwell time on each frequency of 65 microseconds; these parameters will be varied as part of the test. Comtech Systems filed an application (with supporting exhibit) for special temporary authority to test a transportable angle-diversity troposcatter antenna on 4400, 4700, and 4935 MHz. The testing is part of fulfilling a contract for delivering these systems to the US Marine Corp. Troposcatter antenna systems are generally set up for diversity operation using two reflectors; a feature of this antenna is that diversity is implemented in the feed system, so only one reflector is needed. Raytheon Missile Systems filed an application (with supporting exhibit) for experimental license to test missile flight test telemetry systems that operate on C-band aeronautical telemetry frequencies that were allocated at the 2007 World Radio Conference (WRC). These include 4400-4940, 5091-5150, and 5925-6700 MHz, and supplement existing S-band frequencies at 2200-2290 and 2300-2390 MHz. Although the WRC spectrum allocation is not yet in effect in the US, it’s expected to be eventually, and Raytheon wants to start developing the new telemetry systems that will operate in those bands. LaPoint Blase Industries filed an application (with supporting exhibits) for experimental license to conduct tests using a portable Doppler weather radar system as part of a US Air Force contract. Operation will be on 9320-9370 MHz. The radar will be mounted on a truck that will be deployed at various urban locations in the US during times of severe weather. The radar will be used to finely characterize severe weather events near the truck as part of an effort to improve urban weather prediction over a small scale. ITT Gilfillan filed an application (with supporting exhibits) for experimental license to test an Air-to-Air Radar Subsystem (AARSS) that is used as a collision sense-and-avoid radar for the Broad Area Maritime Surveillance (BAMS) unmanned aerial vehicle (UAV) platform. This is part of a project for the US Naval Air Systems Command. The AARSS is said to deliver 9.4 miles range in 4 mm/hr rain. Operation is to be on 13.25-13.40 GHz in the vicinity of Van Nuys, California. KVH Industries filed an application (with supporting exhibits) for special temporary authority to test new terminals for use with its global maritime communications network. Operation will be on 14.0-14.5 GHz in the continental US and on surrounding waters. The tests will be used to evaluate, optimize and demonstrate return uplink performance including for web access, e-mail, and voice. The terminal supports uplink data rates of up to 512 kbps and downlink end-user rates of up to 2 Mbps. It has a parabolic reflector 14.6 inches in diameter, and uses tracking mechanisms to keep it oriented toward the satellite. The market for this terminal includes small and medium-size vessels over 40-feet in length, including from the private, commercial, public safety, and defense sectors. Raysat Antenna Systems filed an application (with supporting exhibits) for special temporary authority to operate on 14.0-14.5 GHz in the continental United States. Technical details are not disclosed by the FCC due to a confidentiality request by Raysat. This is likely a test of a two-way mobile antenna for fixed satellite use. The University of Texas at Austin filed an application (with supporting exhibits) for experimental license to conduct tests of millimeter-wave propagation at 35-41 GHz and 57-63 GHz. The data collected are to be processed and integrated into published channel models to assist other researchers and designers. SET Corporation, a subsidiary of SAIC, filed an application (with supporting exhibits) for special temporary authority to operate on 93.5 GHz in and around Manassas, Virginia. This is to support manufacture of “multi-sensor products designed to counter the growing number of deadly security threats faced by homeland security and defense customers.” Further specifics are not disclosed by the FCC due to a confidentiality request by SET. This entry was posted on Monday, January 3rd, 2011 at 3:42 am and is filed under Antennas, Broadband Access, Cognitive Radio, Experimental, FM Broadcasting, GSM, Military, Millimeter-wave, Radar, Satellite, Spectrum, Telemetry, Terminals, UMTS, Unlicensed, Wireless. You can follow any responses to this entry through the RSS 2.0 feed. You can leave a response, or trackback from your own site.